Online Marketing revolves around creating value and getting the right eyeballs to your content. Creating the right type of content to place on different parts of the internet will increase your profit. In the past, web masters have relied on short-cuts and tactics that have met dead ends. Placing all of your eggs in one basket has never been a good idea. With Content Assault, you will discover how to create high quality content that you will be able to use across multiple website distribution points. With Content Assault you will be ready to do just that by preparing content in the proven and tested methods James Schramko teaches you. 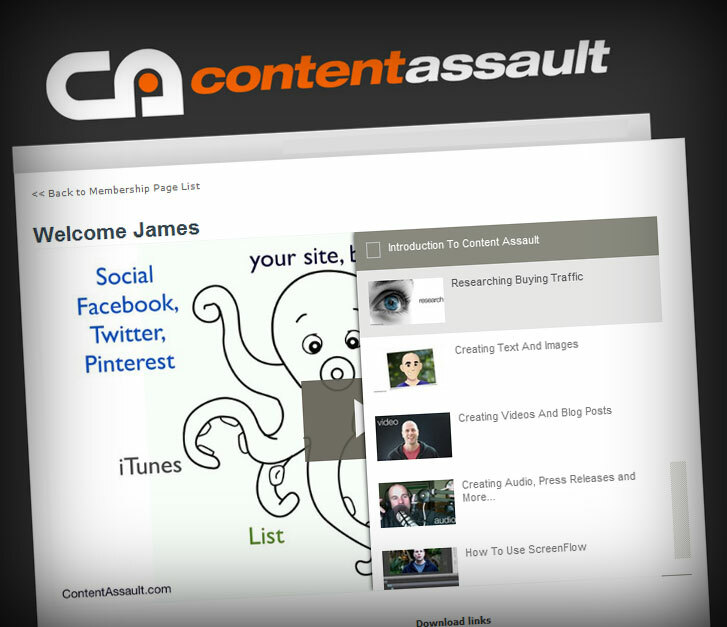 If you have ever struggled to create amazing compelling content then you are going to love Content Assault. Prepare for a new round of fresh traffic to your online business. Oh man! You’re giving it all away! People don’t realize the value in these freebies! They’re just silly if they don’t join FastWebFormula and get the rest of what’s inside. You’re too generous James.